QUIA VENIET TIBI SALVATOR, ALLELUIA. Advent has arrived. Even though Advent is only three weeks this year because Christmas is on the Monday following the Fourth Week of Advent, it is a season of hope and expectation. Advent reminds us that we prepare not just for Christmas, but for the time when the Lord returns again in glory. 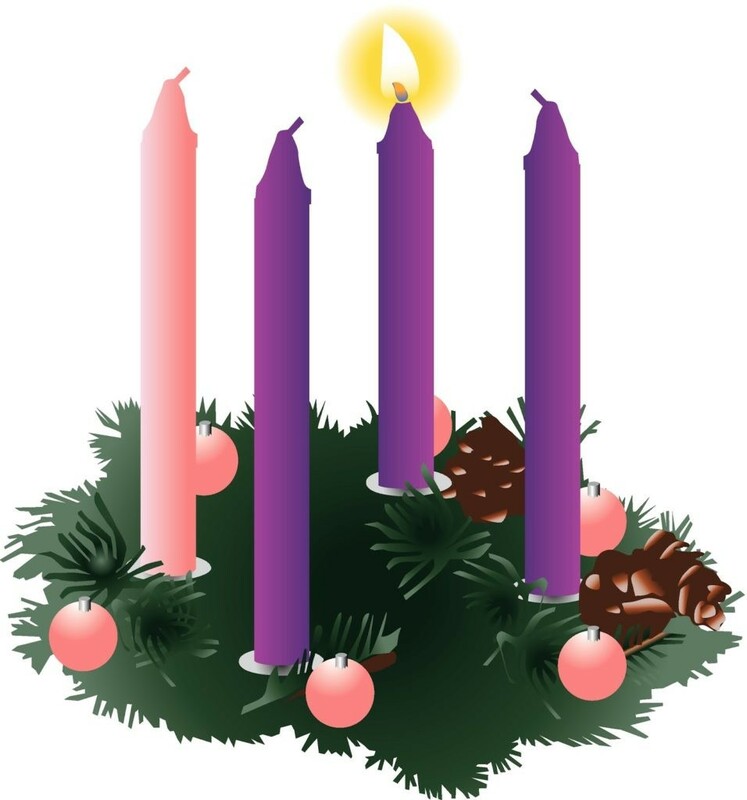 Advent is also the beginning of the Liturgical Year. This is the Year of Mark, Cycle B of the Sunday readings. We bless and light the first candle on the Advent wreath today as a symbol of waiting. The color of the season also changes to blue, a sign of Mary and a sign of hope. The three main characters of Advent are Mary, John the Baptist and Isaiah, and we will encounter them during this season. In today’s Gospel, Jesus is reminding us to watch and pay attention to the signs of his presence around us. We know that preparations for Christmas have been going on since August, as retailers try to get us to buy what they sell. Just as we can recognize the signs of the season, we are challenged to be prepared for when the Lord returns. There will be signs to remind us of this, and hopefully, we will be ready to greet the Lord when he returns. Too often we get lethargic, thinking that Jesus won’t be here for another thousand years. But what if he should return tomorrow or next week, will you be ready and able to greet him? It is very easy to become confused today, especially with the shootings, bombings and other destructive acts that are occurring more frequently. Some of us wonder if all these events mean that the end is near. No one knows the answer except the Father, and he isn’t telling us. Even if they do mean that the end is near, are we any more prepared to meet the Lord than we were yesterday or last week? Hopefully, Jesus won’t return for quite some time. So this will give us more time to make sure our relationship with God is in order, as well as our relationship with our family and friends. The church gives us Advent to make sure we are awake and alert, ready to greet the Lord because we have seen the signs of his presence and are ready for him to return. Let us, then, celebrate the presence of Jesus in our lives, as we watch with hope and expectation for him to return!